Want to test your wits? 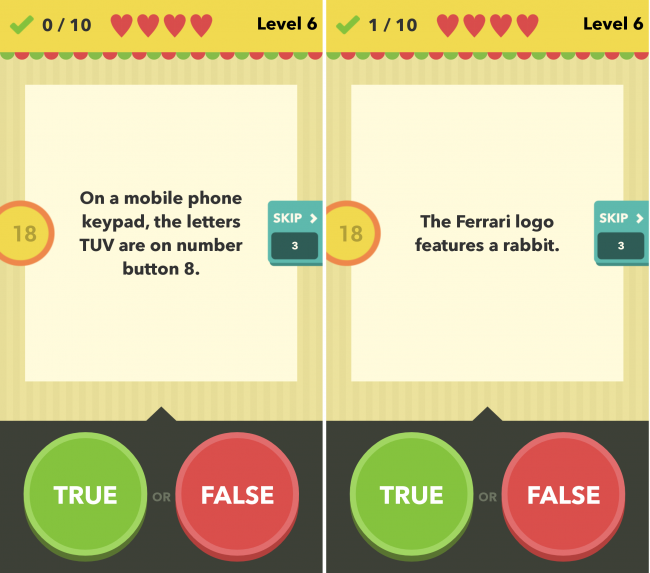 Over on the Play store, you can grab the newest True or False application, putting your puny brain to the test. As you answer questions correctly, you will be met with increasingly tough questions, but what makes it nice is that you always have a 50% chance of getting it right. If a question stumps you, you can simply pass the question and move onto the next one. There is also a multiplayer mode, which allows for you to go up against your fellow friends, pitting yourselves against each other. 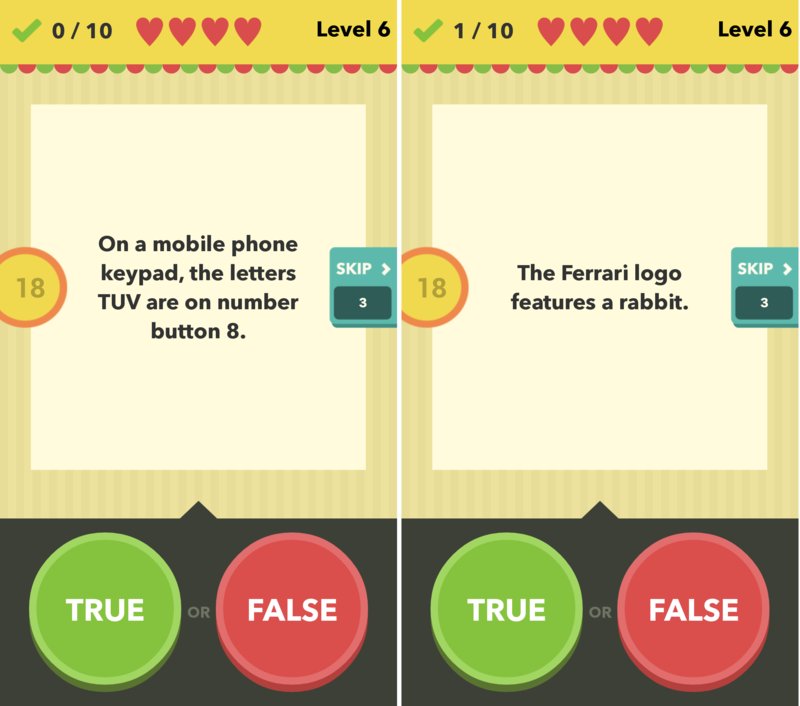 The game is well developed and is an excellent time waster if you find yourself in need of one. To give it a whirl, go grab it on Google Play via the link down below.